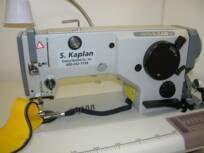 Double needle, chainstitch machine with built in puller, in a wide variety of needle spacing. Perfect for joining panels. Available with various attachments for hemming and edge finishing. 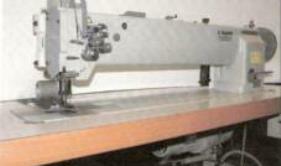 High speed double needle large bobbin, needle feed, lockstitch machine with reverse, with built-in synchronized puller. Good for joining awning and other canvas panels. 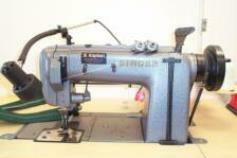 Available with lap seam folder and hemming attachments. 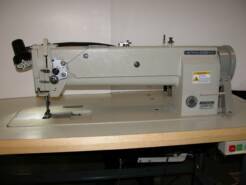 The SK Highlead GG0028 AWNBIN is a single needle zig-zag machine specifically set-up for binding awning edges, or scallops. 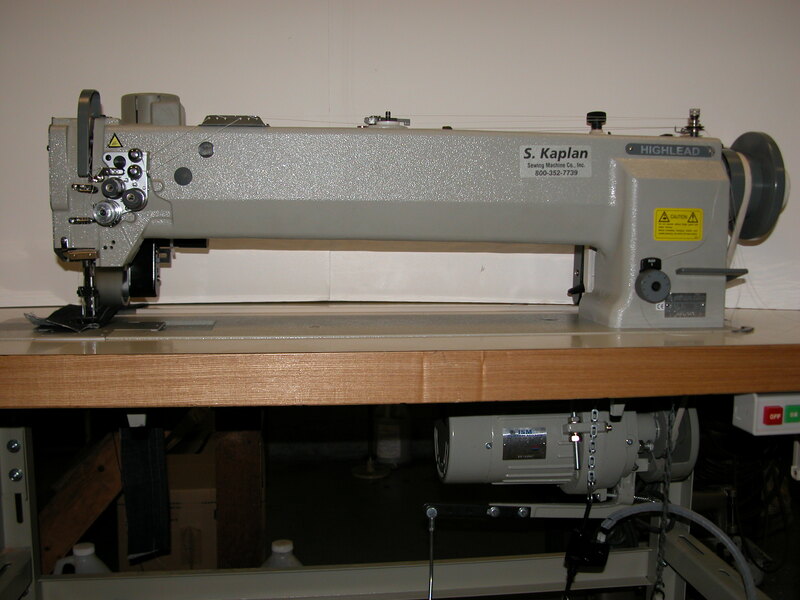 The machine comes complete with one size, custom made binder head, special binder needle plate, feed dog, presser foot and binding. Single needle, large bobbin walking foot machine, with reverse feed. Convenient side loading bobbin, equipped with safety clutch. 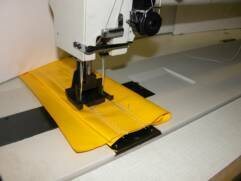 Good general purpose machine for marine canvas, covers, banners, upholstery, leather, etc. Single and double needle walking foot machines, with reverse feed. Large bobbin vertical axis sewing hooks, 16mm presser foot lift. Good for marine canvas, covers, banners, upholstery, leather, etc. 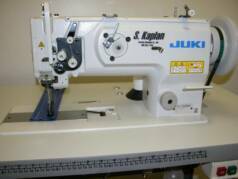 Automatic lubrication, maximum sewing speed 2000 rpm. 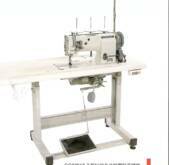 Single needle large bobbin walking foot sewing machine, with reverse feed. Vertical axis sewing hook. Rectangular feed motion, with 16mm presser foot lift enables accurate feeding of heavy materials without gathering. 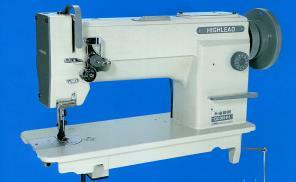 Maximum stitch length of 10mm, maximum sewing speed 2500 rpm. Good for marine canvas, covers, upholstery, leather, etc. 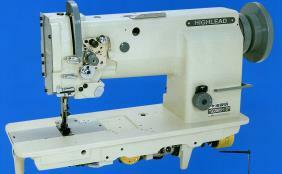 Economical single needle, large bobbin walking foot sewing machine with reverse feed. Features easy side loading bobbin. General purpose machine for marine canvas, auto tops, upholstery, luggage, etc. Available in long (30") arm version. Long arm (24 1/2") single and double needle walking foot machines, with reverse feed. Large bobbin, vertical axis sewing hooks, 16mm presser foot lift. Good for marine canvas, covers, banners, upholstery, leather & other items requiring a large working area. 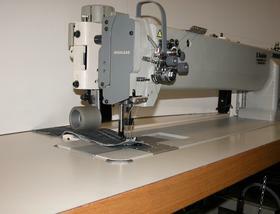 Two needle, long arm, needle feed machine with built in synchronized puller. Excellent for covers, large format graphics, banners and awnings. Available in a wide variety of gauge sizes. 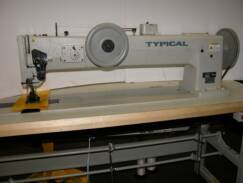 Economical long arm (18") single needle, large bobbin, walking foot machine with reverse. 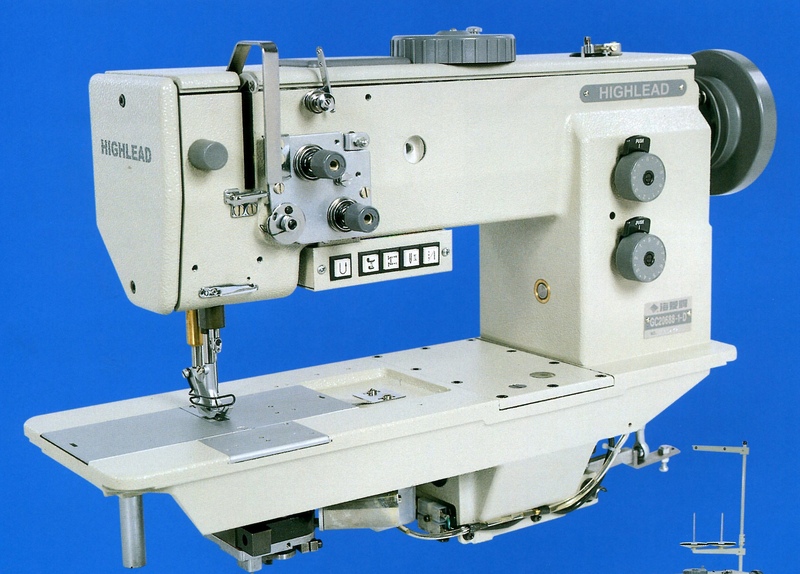 Heavy duty, compound feed lockstitch machine, walking foot, with automatic thread trimming, automatic back tack and presser foot lift, presser foot stepping adjustment and automatic stitch regulator. Available in single and double needle versions, complete with servo motor stand.